After inspiring more than 10,000 people in Wellington over the last two years, the “Space & Science Festival” is coming to the Wairarapa. 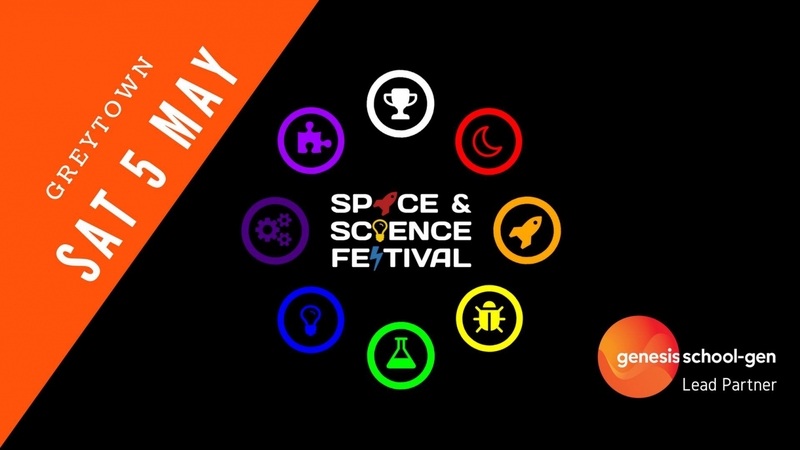 Space & Science Festival, is a mix of spectacular science displays, science talks and classroom activity. It’s a not-for-profit charity created by a group of volunteer parents, teachers, scientists, engineers and technologists. Our focus is on making science accessible, and providing fun experiences that encourage young minds and nurture their interest in a wide range of STEM activities. The Festival’s Lead Partner, Genesis School-gen, will be showcasing their hands-on child-friendly activities so you can explore the world of energy. Amadeo from Otago Museum will be offering you a stunning mix of science demonstrations – don’t forget your cameras! Marvel at the beauty of Bio-luminescent Bacteria, thanks to the team from Siouxsie Wile’s team at BrightEnz. Enjoy a variety of talks and presentations in the hall including one of New Zealand’s leading astrophotographers, Stephen Chadwick and his presentation, ‘A journey through the Cosmos’. Not to mention a feast of creative technology to play and learn. Tickets are only available only through the Space & Science Festival website and have been kept to a very modest $10 a person thanks to our lead partner Genesis School-gen. Ticket sales will support both Greytown Primary School and the Space & Science Festival. Check out our series of other events running through May too.